Starting today we will be putting a stronger emphasis on users getting feedback from patients, biohackers, or fitness buffs just like them! Having said this, we are officiating this by moving the entire stacks section of TMS to https://stackadvice.trackmystack.com — after all, the whole point of having your stacks posted publically is to get feedback from others or have others hold you accountable for your results! Edit: Update your bookmarks to the subdomain above and if possible link to us from your blog if you find it interesting! Recently we also changed our commenting framework from a custom in-house commenting system to Disqus to make it easier for users to post comments to stacks or supplement pages. For those that haven’t made a new stack in a while we have also gone ahead and added the ability to “Bulk Add” supplements or medications to your stack rather than adding them one at a time from the initial wizard or the actual stacks page, look for a button that says “+ Bulk Add” to get a stack built faster. Due to an overwhelming number of posts in /r/nootropics where people post their stacks and ask for advice on dosages, feedback, recommendations, etc, we have created a supplementary subreddit for requesting and giving personalised advice. Consider this a friendly environment for stack advice, Nootropics recommendation, supplement information, and any question concerning Nootropics. Initially the purpose of our site was to help the nootropics community manage their stacks but we have since allowed everyone to build a stack for whatever purpose they deem fit with more options than they can handle. 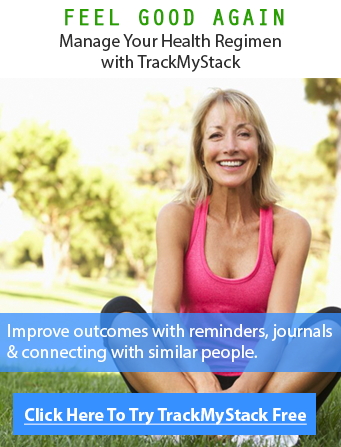 If you still have suggestions on how we can improve TrackMyStack, feel free to leave a comment below. We have slowed down development as we do not want “feature creep”. Feature creep, creeping featurism or featuritis is the ongoing expansion or addition of new features in a product, such as in computer software. These extra features go beyond the basic function of the product and can result in software bloat and over-complication rather than simple design. Apoaequorin Review – Another SCAM Supplement?